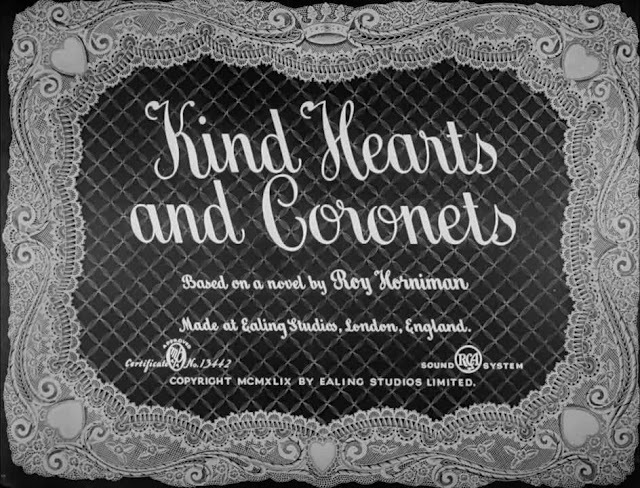 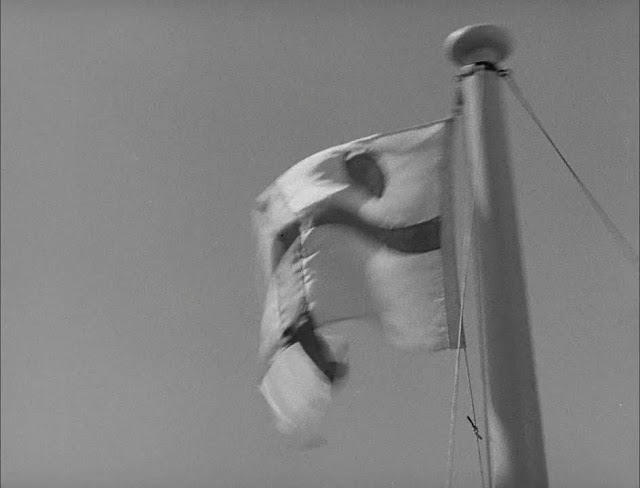 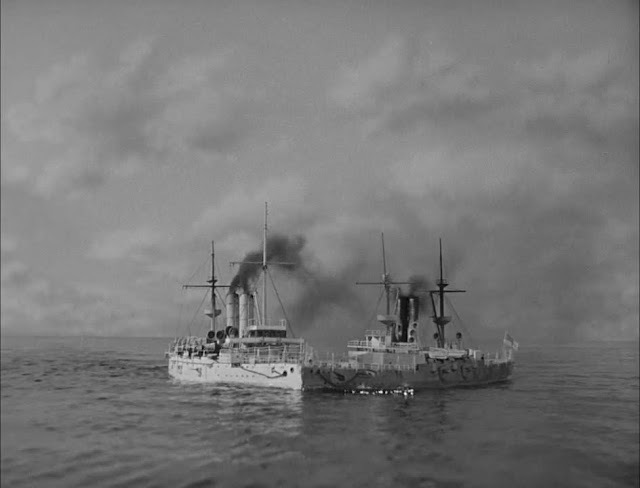 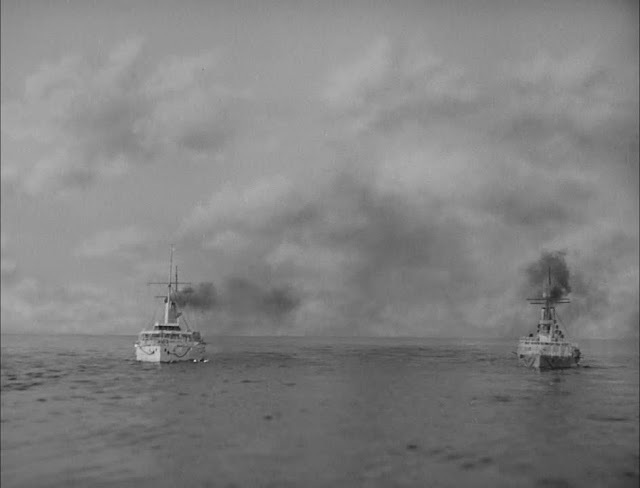 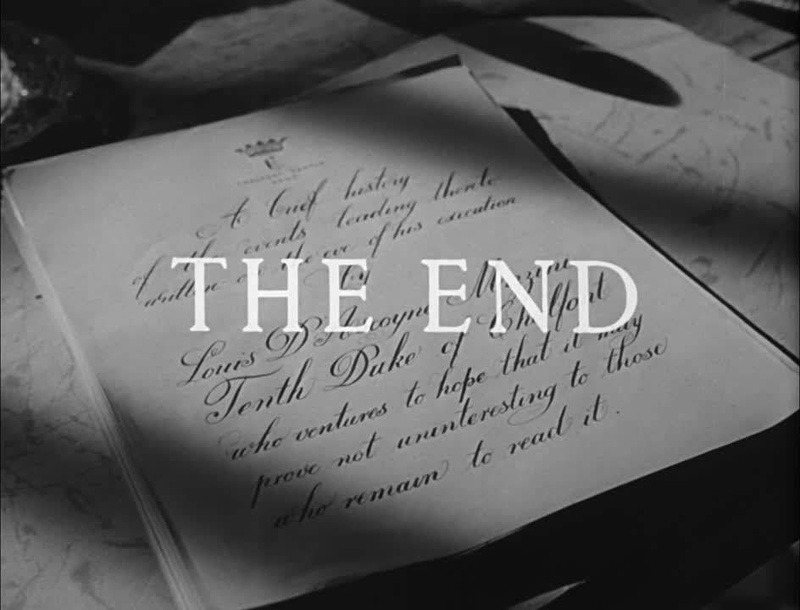 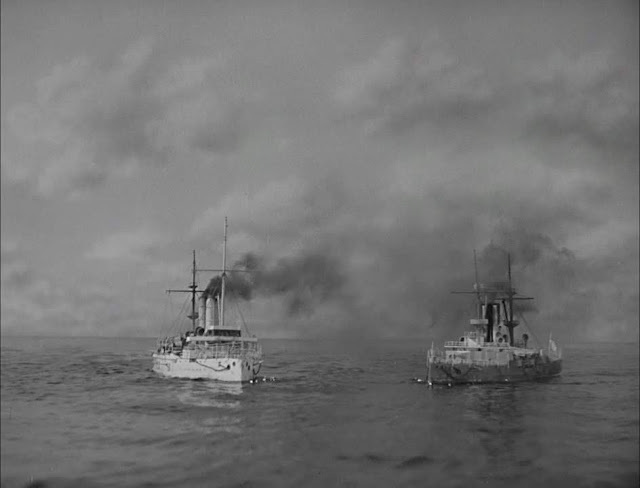 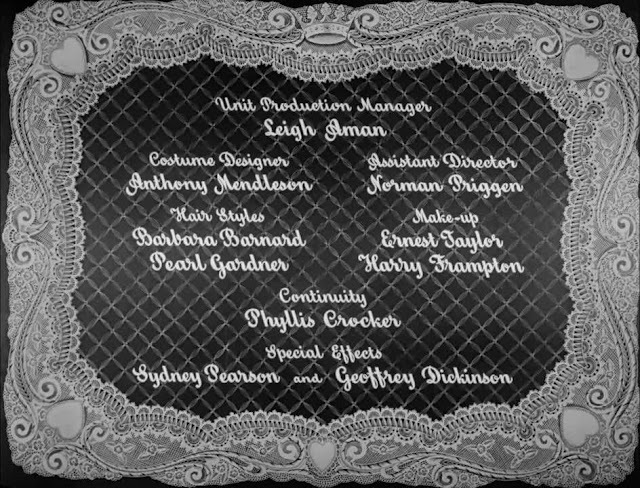 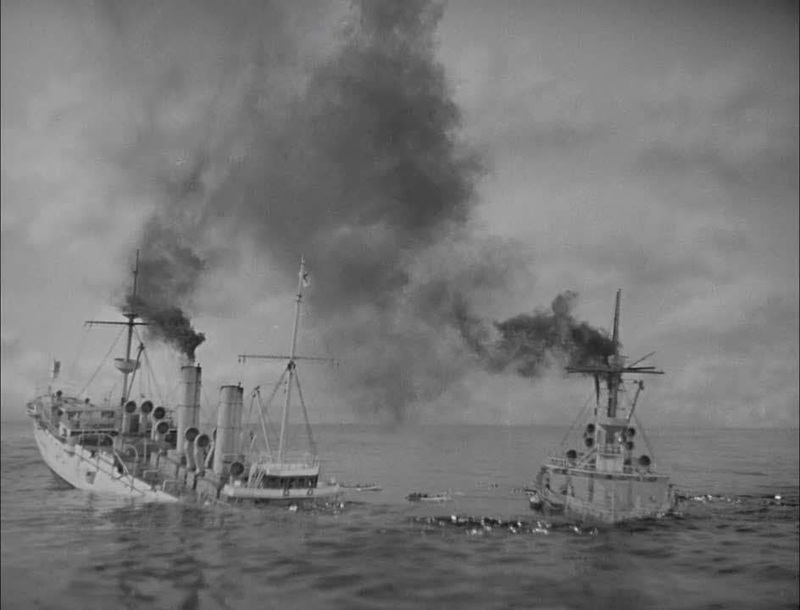 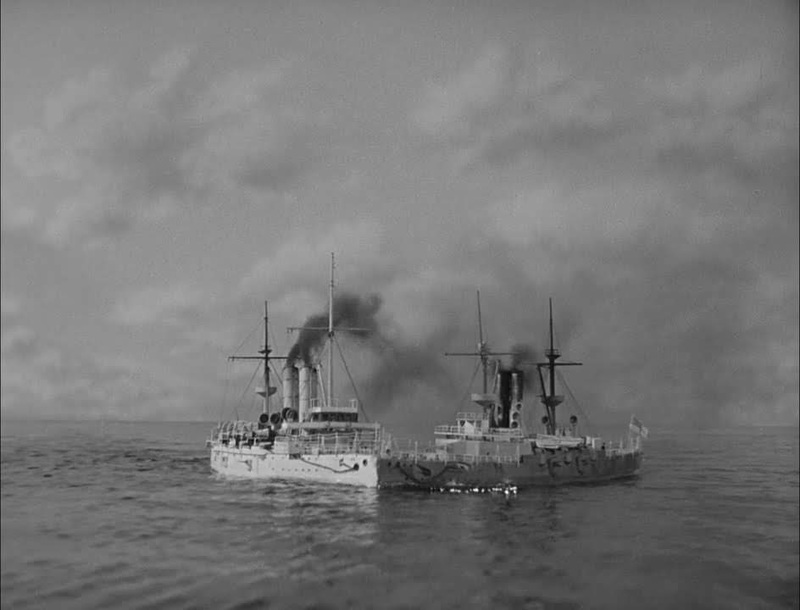 A reader Ian Jopson put me onto this classic Ealing comedy which has a short sequence featuring the collision and sinking of two out of three miniature Victorian battleships. According to IMDB this story point could have been a reference to a real-life disaster in 1893 which involved the battleships HMS Victoria and HMS Camperdown. 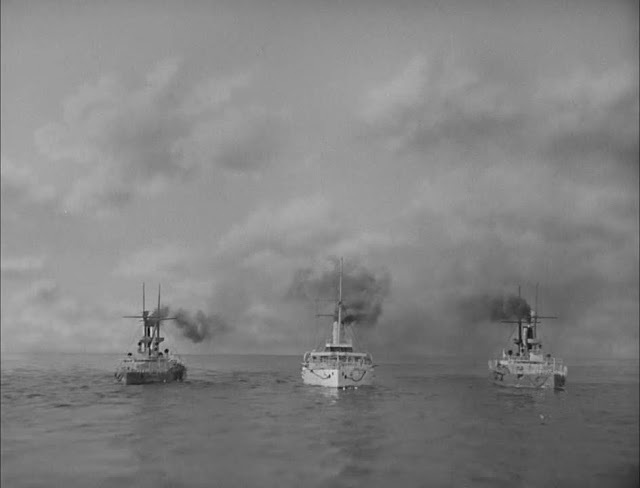 The models seem rather small, with the camera running at an insufficient frame rate to appear at all convincing. 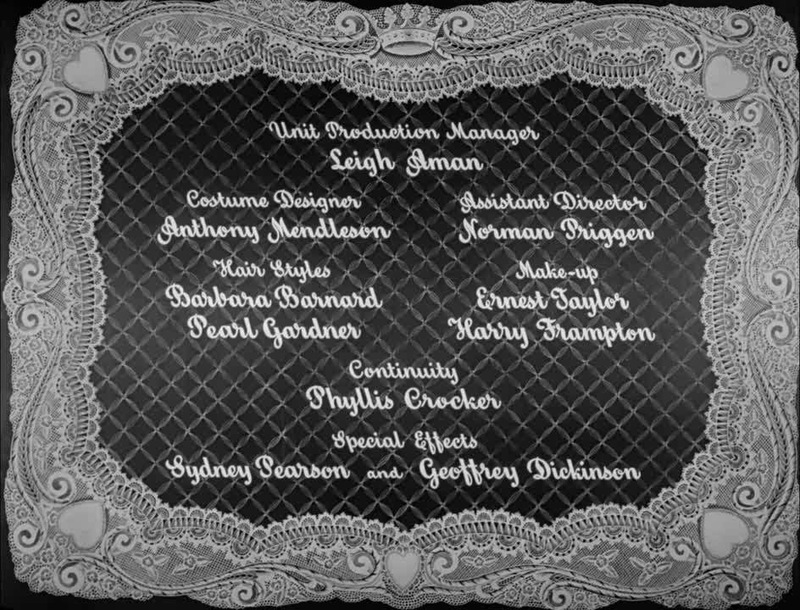 Perhaps in a comedy this was thought part of the joke.